Since we didn't have a guest speaker today we devoted our time to club business, starting with the announcement of an expansion of the board. We're going from 9 to 12 board members, and Ivan Christenson will be joining the board this year. That leaves one director position open and the president elect-elect position as well. 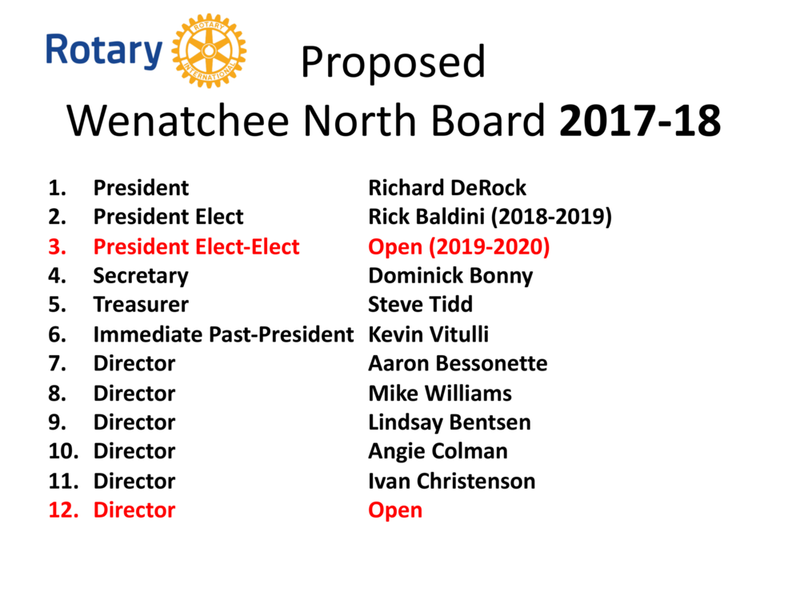 So if you are interested in a board position, or if you'd like to get in line for the podium, let President Kevin, President-elect Richard or any other board member know! Next week will meet as usual at the TTC, program to be determined. We have a new website, which you already know about since you're on it right now. Cameron Alexander, DDS, of Fibonacci's Smile and a proposed new member. President K's "This Day In History"
Today in 1957 president Harry Truman kicks off the hydrogen bomb program that culminated in the development of the H-bomb*. H-bombs, about 50 times more powerful than the A-bombs dropped on Japan, can kill half the population of the greater Seattle area in the initial blast alone. The program produced 27 H-bombs that were dropped on the Marshall Islands in the South Pacific over the course of about a decade. Ironically, there was a spy in our super secret program so all the nuclear research done ostensibly to protect us ended up in the hands of the Russians, enabling them to develop the very same bomb we did, locking in that mutually-assured destruction that became such a Cold War buzzword. *Fascinating as apocalyptic, face-melting military technology is I'd like to take this opportunity to link to this front page article in Sunday's edition of the New York Times about Tim Snider in Richland, Wa. who, among other vets who cleaned up the Marshall Islands after those tests, has cancerous tumors riddling his body. In fact about 20% of the other vets who cleaned up that site, most of them in their 60s and 70s now, are dying of cancer. The closer your duty was to the hottest blast zone, the more likely you are to have cancer now (go figure). And because of a technicality, the VA won't cover their medical costs. Disappointing, our commitment to building bombs in contrast to our lack of commitment to providing for the people who served us as US military. Older PostEarl and Barbara Tilly Kick Off The WNR Foundation In A BIG Way!